It is our firm belief that “rising tides raise all ships” — and when women link arms and work together to empower, support, and lift each other up, everybody wins! 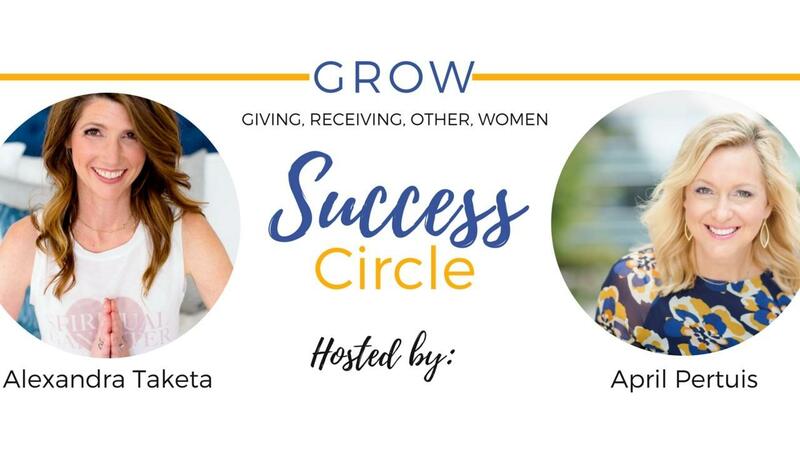 The GROW Circle is an online group coaching program open to a limited number of business women (8-12). For 3 months, we meet regularly via Zoom calls and inside a private FB group to deliver a systematic approach for building a solid foundation for growth. You also have direct access to April and Alexandra with messenger support. We truly link arms with you over the course of this program to ensure your success. We want to see you GROW!